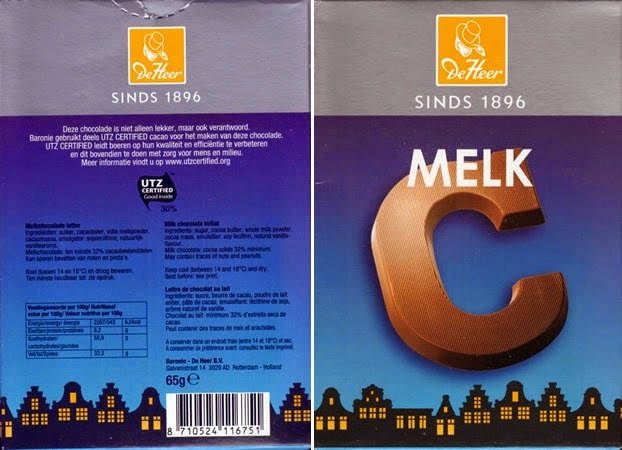 SHERYL RECENTLY ORDERED a bunch of Dutch licorice, called dropje, and Dutch chocolate letters. This was after our whirlwind trip to Toronto and her exposure to the crazy Hart family and their love of all things Dutch. Dutch licorice is an acquired tasted. Don't try it unless you are ready. Click here to see what I meant. It's traditional to receive a chocolate letter on your birthday, Christmas or other special occasions. It's part of the Dutch Sinterklaas tradition, and I remember many Christmas mornings as a kid, waking up with a sock full of treats, dropjes and a big chocolate R.
After we got our shipment from a Dutch store in Holland, Michigan, Sheryl ate the letter H and immediately ordered me to hide the other two letters, which I dutifully did until I ate them. The boxes were getting soggy and I didn't want the letters to get ruined. 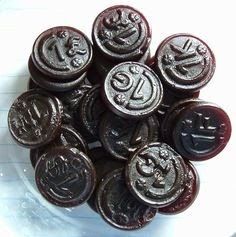 Dutch licorice is good for sore throats, curing scurvy and raising blood pressure if you eat too many, like I did when they came in last week. Topdrop hard zout is the bomb. I think I know what it's like to do hard drugs, and I just opened another package. BLEEP. I'm eating them all day. If you aren't Dutch, you aren't much, as we like to humbly put it. We have lots of licorice at Second String Music, but it won't last forever, and you are more than welcome to come on by and sample some. Unfortunately, the chocolate letters are gone. I'll try to save some for you next time. Right. I believe the C stands for "crack."